Many of you may have heard of the recent decision in the case of Brackeen et al. v. Zinke. Oct. 4, 2018, Case 4:17-CV-00868, (N. D. TX) where the court determined that the ICWA is unconstitutional because it treats Indian children differently than other children in child custody proceedings. According to the court, this differential treatment of Indian children violates the Equal Protection Clause of the Constitution that generally requires all people to be treated equally under the law. The court further found the ICWA is in violation of the Tenth Amendment that prohibits the federal government from overreaching and encroaching on states’ rights to address and process child dependency proceedings heard in state courts. What does the Brackeen decision mean for California tribes? Nothing at this point in time. The decision, for now, is confined and limited to Texas. But the case will undoubtedly be appealed to the 5thCircuit Court of Appeals, and from there the case can and will most likely be appealed to the United States Supreme Court. Only if the Supreme Court finds that the ICWA is unconstitutional will California tribes be impacted. Such a ruling could mean that tribes would no longer be given notice of state court child custody proceedings or allowed to intervene into proceedings involving its member children. The heightened standards for removal of Indian children may no longer exist, as well as placement priority for Indian families. There is massive mobilization among tribes throughout the United States against the Brackeen decision. CILS has joined the effort and will lend its legal assistance in any way it can. We will continue to keep tribal communities updated on developments on the case. 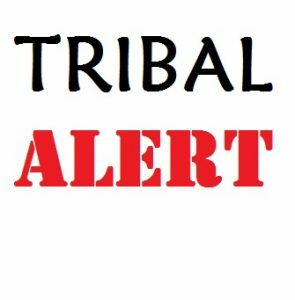 All California tribes should be on high alert, as your support for amicus briefs (friend of the court) and other efforts in coordination with tribes nationally may be needed. For more information, please contact Dorothy Alther at 760-746-8941 or any CILS office. Passed by Congress in 1978, ICWA was designed to reverse decades of culturally biased and abusive practices that led to one-third of all tribal children being forcibly removed by the government from their families and tribal communities – a substantially higher removal rate than any other group. Over its 40-year history, ICWA has survived numerous challenges, including a case recently before the U.S. Supreme Court where the Court declined to rule ICWA unconstitutional. (Adoptive Couple v. Baby Girl (2013) 570 U.S. 637.) Despite this history, the decision from the Northern District of Texas held ICWA invalid on multiple grounds, characterizing it as a race-based statute in violation of the Equal Protection Clause as well as the Tenth Amendment’s prohibition against commandeering. The case is part of an ongoing national campaign by the Goldwater Institute, a conservative organization based in Arizona, which for several years has pursued anti-ICWA litigation in various courts across the country. Interestingly, its namesake, the late Senator Barry Goldwater (R-AZ), voted in favor of the ICWA in 1977, and ICWA’s author, retired Senator James Abourezk (D-SD), is adamant that Sen. Goldwater, his friend and colleague, would be opposed to the Institute’s anti-ICWA efforts if alive today. Fortunately for California tribes and out-of-state tribes with children in this state, the Texas decision does not apply here. Existing statutes incorporating ICWA into state law remain valid, as does recent California legislation, AB 3176 (R-Waldron) taking effect on January 1, 2019, incorporating the Bureau of Indian Affairs’ ICWA regulations into state law. Brackeen, however, is likely to be appealed to the Fifth Circuit, and could possibly advance to the Supreme Court for a final decision on the constitutionality of ICWA. Tribes across the nation remain united in their support for the law, buoyed by many of the 33 states who have acted to strengthen ICWA within their borders. Prior to the Texas ruling, California Attorney General Xavier Becerra led a bipartisan coalition of six Attorneys General from Alaska, Montana, New Mexico, Oregon, Utah, and Washington in filing an amicus brief in Brackeenarguing that ICWA complies with the Constitution. In passing the ICWA, Congress specifically found that Indian children are best served by placement, if possible, in homes which keep them connected to their extended family and their tribes. This position is supported today by numerous child welfare organizations such as the National CASA Association, the National Association of Social Workers, Casey Family Programs and the Annie E. Casey Foundation. (See Brief of Casey Family Programs & Child Welfare League of America, et al. as Amici Curiae Supporting Respondent, Adoptive Couple v. Baby Girl, supra [“Amici are united in their view that, in the Indian Child Welfare Act, Congress adopted the gold standard for child welfare policies and practices that should be afforded to all children . . .”].) ICWA works to preserve families and keep Indian children connected to their communities when they cannot safely return home. These are foundational principles to good social work practice and are embedded in many other child welfare laws. Alarmingly, the Brackeen decision also has the potential to go well beyond the world of child welfare. The holding that ICWA is a race-based statute, rather than a statute based on a parent’s or child’s political status as a citizen of a federally-recognized tribe, could open the door for all federal legislation involving Indian tribes to be undone. Indian Health Services and similar programs could disappear. Tribal lands, owned by the federal government and held in trust for tribes, could be sold off or opened to oil, gas, or minerals extraction – a factor reportedly in consideration in the recent and controversial reduction of the Bears Ears National Monument. Even tribes’ status as sovereign entities is potentially at risk. We urge all tribes and child welfare advocates to do the same, and to share their stories of cases where ICWA has made a positive difference for Indian families. These stories seldom get as much media traction as the ones lamenting the law’s application, but those of us who practice in the field know the widespread success ICWA has had in keeping children connected to their tribal communities. Delia M. Sharpe is the Executive Director of the California Tribal Families Coalition, a non-profit organization comprised of tribes and tribal leaders from across the state whose mission is to promote and protect the health, safety and welfare of tribal children and families. Jedd Parr is the Directing Attorney of the Sacramento office of California Indian Legal Services, a non-profit Indian law firm dedicated to protecting Indian rights, fostering Indian self-determination, and facilitating tribal nation-building.